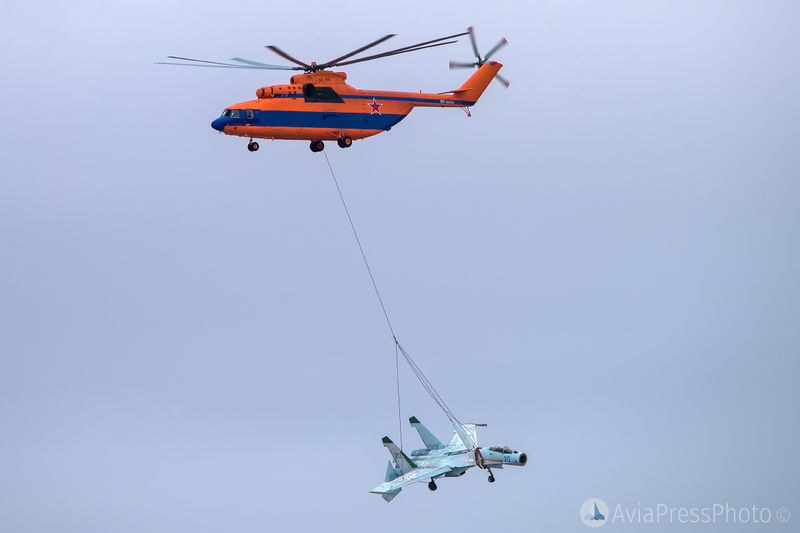 The pilots of the aviation regiment of the Western Military District, stationed in St. Petersburg, carried out a unique operation to transport the Su-27 fighter jet on the external suspension of the Mi-26 helicopter. Having departed from the Levashovo airfield, the crew of the Mi-26 helicopter took the Su-27 fighter located at the Pushkin airfield onto the external suspension and took the plane to Kronstadt in the future military historical park of the Western Military District. The crew traveled about 60 km along a special route designed in accordance with safety requirements. 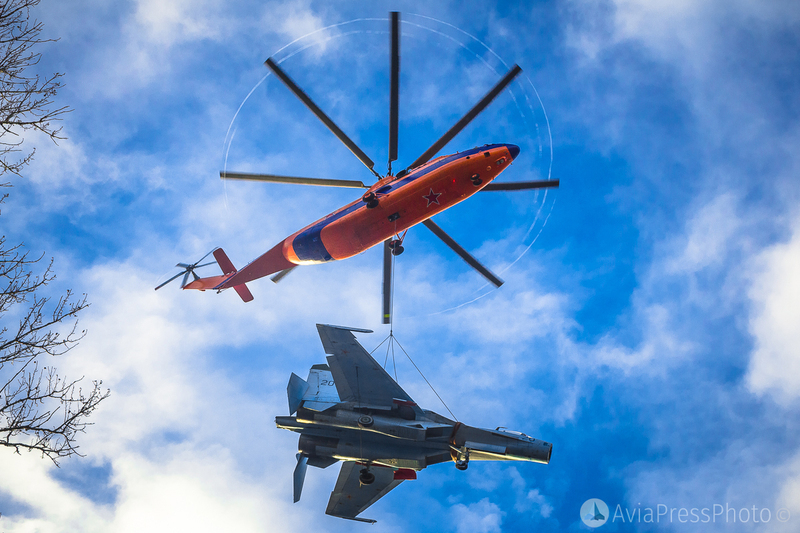 Transportation of non-standard cargo on the external load is one of the most difficult tasks for crews of heavy transport helicopters Mi-26, which are regularly worked out during training flights. 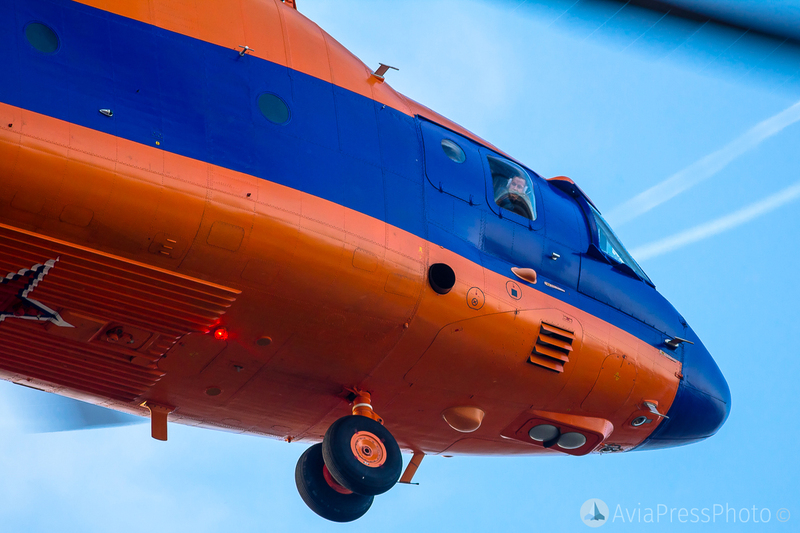 The maximum payload of the Mi-26 is 20 tons, the on-board video cameras allow the crew to monitor the condition of the transported cargo. The Russian multi-purpose all-weather Su-27 fighter has a crew of one pilot, a practical ceiling of about 18 km, a radius of use of over 1200 km, a payload of up to 6 tons, equipped with a 30-mm automatic aircraft gun, can take controlled missiles from aircraft weapons aerial bombs. 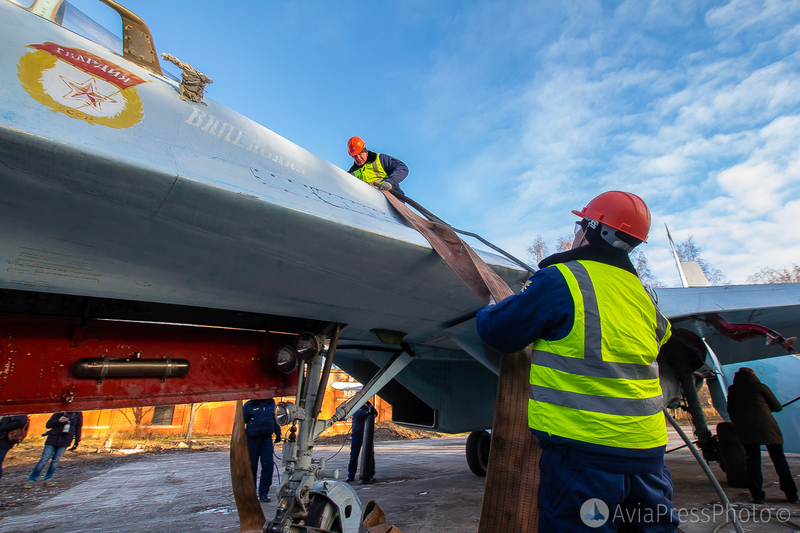 The fighter that has flown by today on the external load is named after the pilot of the Hero of the Soviet Union Alexei Maresyev. Previously, the plane belonged to the Guards Fighter Aviation Regiment, stationed at the airfield Kilp-Yavr. In 2009, the regiment was transferred to the airfield Besovets, where it merged with the 159th and 177th IAP. The mass of the empty aircraft was reduced from 16 to 11 tons by dismantling various equipment, including the nose fairing. 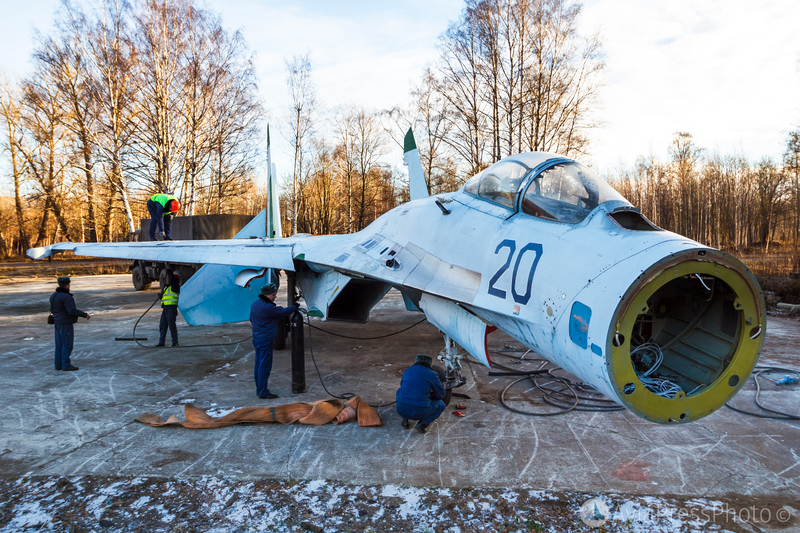 Items removed will be delivered by road; there is still a considerable amount of work to bring the aircraft into the appropriate form of the exhibit. 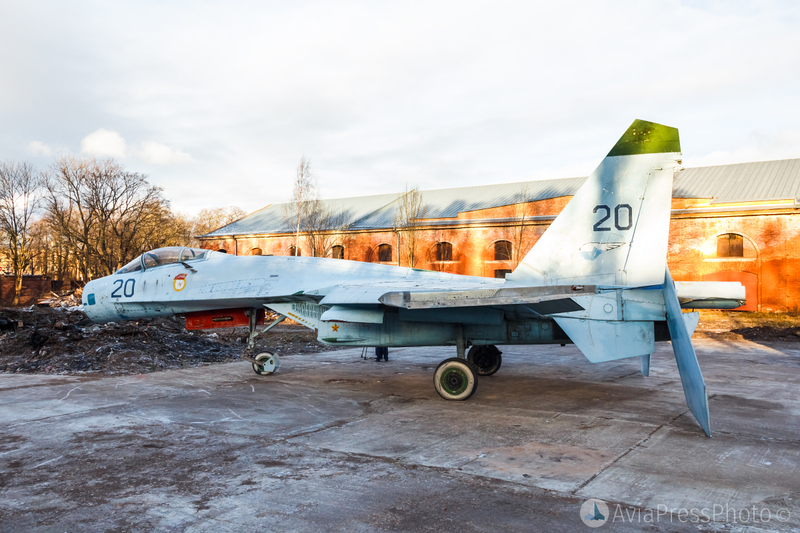 Su-27 will not remain the only aviation exhibit of the military-historical park of the Western Military District – it is planned to deliver a Su-24 bomber in the same way.